Yet again, Jonathan Goodluck is being accused by a former president of Nigeria; for not listening to the warning of recession. It is funny how these men who have being leading Nigeria from the military time through to the civil leadership, and have done not even a single thing to show their so-called expertise, can turn around and blame another person. Goodluck did the best he could do considering the country he was given to or the country he met as a president during his time. I personally feel disappointed at the level of ignorance being displayed by these men. How many times did Obansanjo come to the UK to shake hands with the Queen during his regime? 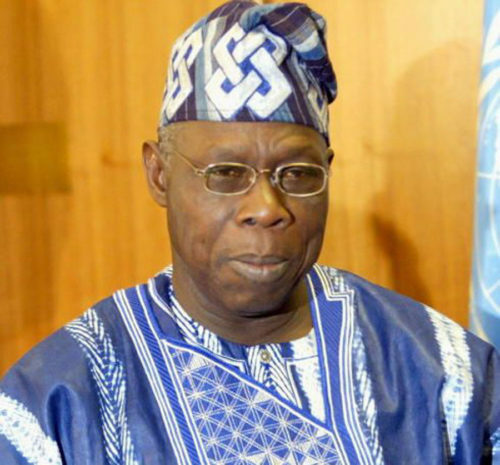 How many times did Obasanjo go to visit the US. Buhari has also been doing nothing and would never do any better. Nigeria needs a young responsible person, qualified at every level to represent her. Nigeria has had a lot of old people dillydallying and making empty promises. We need change!!! It is a shame that people play a blind eyes to their wrongful doing. This link shows a chart of unemployment rate during Buhari's regime as a head of state and Obasanjo's regime too (1990 to 2012). Let's call a spade a spade. Take responsibility for your mistake as a leader and stop whining. Some of the joys of invention in our life times that have given health sections and surgeons a wow! moment, I believe would include 'organ replacement'; the ability to give someone an active life without put another person in pain or causing that patient to think and wonder how their donor died, their cause of death. Artificial organ replacement is growing very fast. This Friday, 30th Sept 2016, CBS News New York announced a new device; "artificial pancreas". It has been tested on diabetes patients and has been approved by the Federal Regulating Body. Artificial Pancreas, which is said to be a wireless transmitter, has also the potential to give diabetic patients a fully potential life, possibly changing millions of lives. This artificial pancreas is programmed to transmit insulin through a wireless pump, releasing a precise amount of insulin to the body. Dr Gomex explained that for most diabetics, this means this would mean the end of rigorous routine of blood sugar check, monitoring food intake; "check the label"; and calculating insulin! Another one of such inventions is the use of Pacemaker. We know, human body is best productive when all our organs are fully functional. The inability to achieve the full functions of body organ can lead to devastating ill health. However, some times, certain health conditions may also lead to the malfunction of an organ in the first place. For instance, the heart condition may be affected by a persons heart beat rate being too slow or too fast, conditions known Bradycardia,Tachycardia and Cardiac arrest. The Heart Foundation however, has long ago put in place a sort of electronic artificial solution, which has served as a reliable replacement and relieve from unpleasant pain suffered by patients with these heart conditions. Although seen as an artificial heart replacement, PACEMAKER is an electron that helps regulate the heart beat by transmitting pulses in time. It is a tiny match-box size electrical device. It prevents slow or fast heart beats and leaves the heart at a regular rate. It is a light weight; about 20-50g. Surgery are not all bad, there is more good than harm. What do you think?